Well, thank God for that - the inter-county game is back after a 14-week break since the football final. The new campaign begins next weekend with O'Byrne Cup and Walsh Cup action in Leinster where the main focus will be on how the experimental football rules fare in their first official outings. Is everyone happy? Of course not. In an era of constant bickering within the Association, there have been criticisms of Leinster for starting pre-season tournaments before Christmas. So who decided on the early start? Was it the season of goodwill killjoys in Leinster Council HQ, who chose to deliberately make life difficult for county squads just for the sake of it? Actually no. Counties were asked months ago when they wanted pre-season action to start and opted for early December. Presumably, county boards consulted the managers, who would know what players were thinking. Most players are already back in camp and like games rather than training sessions. Besides, there are lots of challenge games going on - one Leinster county had five in five weeks in November/December last year - so why not start the pre-season tournaments now rather than have teams travelling for meaningless affairs? Still, it's easier to criticise the fixture-makers for a decision the counties themselves took. It gets headlines and becomes part of a spurious them v us scenario. As for the rules experiments, they are being bashed even before they are tested. The GPA are particularly unhappy over the handpass restriction, pointing out that 96 per cent of members surveyed voted against it. Central Council still included it as part of an overall experimental package which the GPA wants reviewed before the start of the league. They took what looked like a stern stand last week, demanding a meeting with top GAA brass, after which a joint statement was issued, stating that a review would indeed take place. It looked like a win for the GPA, a signal to their members that they won't be pushed around. Hang on, wasn't a review always scheduled to take place? Indeed it was. So why all the fuss? Optics, of course. The GPA spun something in their favour that was going to happen anyway. As for the GPA's objections to the restricted handpass, their views are no more relevant than anyone else's in the GAA. The game belongs to every member, not merely to the top practitioners, who are so involved in playing that they can hardly be relied upon to concern themselves with the entertainment aspect. Of course players should be part of a rule-changing process, but never to the point of having a veto or even a major influence on the ultimate decision. And then there's the CPA, who rode the outrage horses hard after Central Council voted against a Roscommon proposal to start with a blank canvas and re-draw the entire club and county fixtures pyramid. The Roscommon wing of the CPA accused the GAA leadership of losing touch and of showing "a lack of respect for ordinary members and the democratic process". 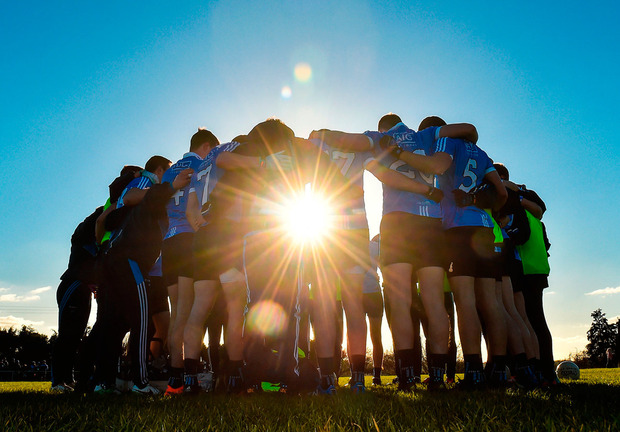 So who are the GAA leadership? Each county is represented on Central Council and since clubs chose their delegate, they have a direct say in who gets into leadership roles. If they are unhappy with how they are being represented, they can send somebody else to Croke Park. That might sound simplistic, but actually it's not. In fact, it's dead simple. The democratic process works if it's used efficiently, something the CPA might usefully take on board. They make a number of very valid points regarding fixtures, but the core problem still rests with county boards, rather than provincial councils and Croke Park. For example, counties voted overwhelmingly last year to ban pre-championship 'away' training camps for inter-county squads except in specified circumstances. Seven months later, no fewer than 17 counties ignored the ban in some form or other. Four - Armagh, Waterford, Laois and Wexford - were eventually punished (loss of home venue for one league game next year) before the latter escaped on appeal. And the other 13 who had been investigated? They all got off on one pretext or another. So why did county boards not uphold a rule they supported so enthusiastically? Probably because they took their cue from the team managers, who never liked the training camp ban in the first place. It's a classic example of the double-think that applies in so many areas of GAA life. That approach, plus the willingness to blame others for every problem that arises, are seriously damaging to the Association. Whether it's GPA and/or CPA v Croke Park, county boards ignoring rules they voted for, team managers having too much influence, clubs frustrated over a faulty fixtures schedule, a whole lot of valuable energy is being squandered. No organisation, however strong it might appear, can carry that burden indefinitely without suffering ill-effects. If Leinster are happy to use Munster venues, why not the other way around? So the Munster Council won’t allow Waterford to use Nowlan Park as a ‘home’ venue if required in next year’s hurling championship round robin. Waterford asked to use a ground outside the province if, as happened this year, Walsh Park is deemed unsuitable and obviously Nowlan Park is the most convenient alternative for the games against Limerick and Clare. Munster Council rejected the proposal. Surely Waterford should be allowed to nominate any ground they wish, even if it’s not in Munster? Leinster used Semple Stadium for this year’s Galway-Kilkenny final replay, having also played semi-finals there when Croke Park was under redevelopment. Munster, on the other hand, won’t budge outside their own boundaries which seems rather petty. Sheamus Howlin, who was buried yesterday, will be fondly remembered by the many GAA people at home and abroad who knew and respected him. A former Wexford and Leinster Council chairman, the St Martin’s clubman rose through the ranks at administrative level to a height where he came second in a 2014 election for the GAA Presidency, won by Aogán ó Fearghail. He filled a number of important positions on various national bodies, including chairman of the Insurance Committee, a role he held up the time of his death. He had previously chaired overseas committees, linking with the diaspora in a meaningful way at a time of GAA expansion across the world. Universally liked for his warm, affable personality, his devotion to the GAA, both at home in Wexford and further afield, made him a very important figure in the Association over many years.